Cat Tales and Paper Trails: Technique Junkies New July Release! Technique Junkies New July Release! Weclome to the Technique Junkies July New Release Hop! The new July stamps are available now at Technique Junkies and all new releases are 15% off through July 8th! There is no code needed for this sale! To see them all, please click HERE. Today I am sharing a few cards using just a few of the new stamps. This card was created by stamping and heat embossing the Seagrass Mat Stamp on my card base. The focal image of the Joy and Laughter stamp is stamped in Kraft ink and colored with Chameleon Colortone pencils. 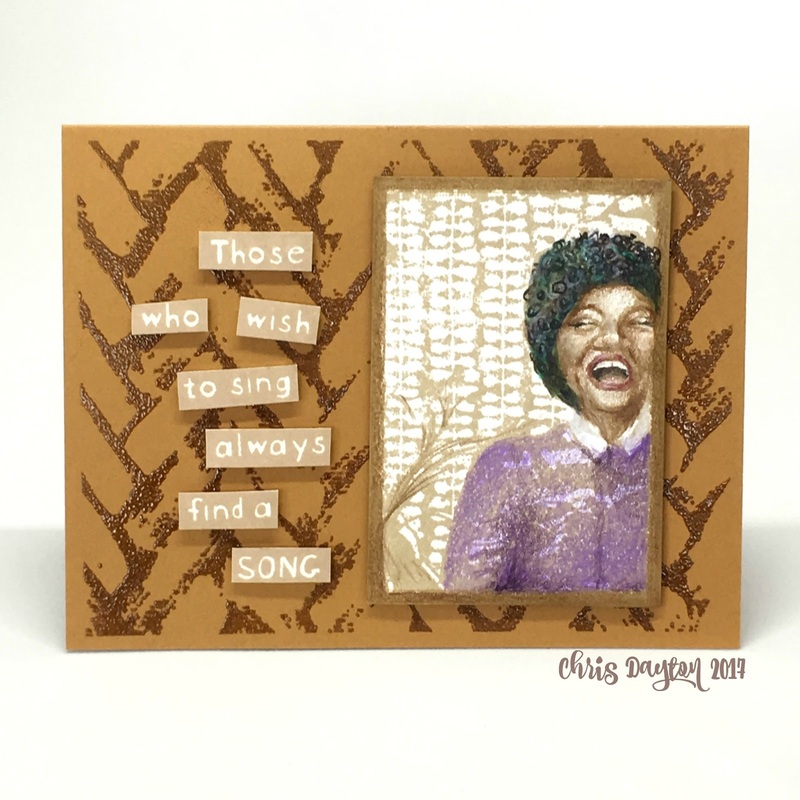 I stamped the Always Find a Song sentiment in Kraft and trimmed out each word and added them, along with my colored image to my card base with dimensional foam tape. 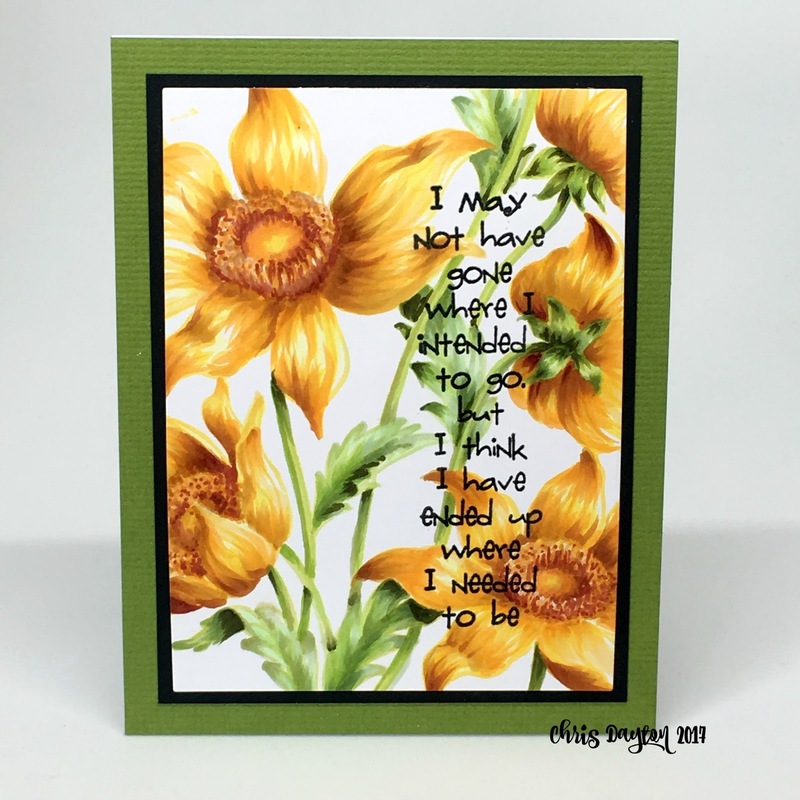 This Calendula background stamp was stamped in a very pale yellow ink, then colored with Copic Markers. The Needed to Be sentiment was added with black ink, then restamped in Versamark ink and heat embossed in clear. This stamp is called Everything Dandelion, but I used it as fireworks for a celebratory masculine birthday card. 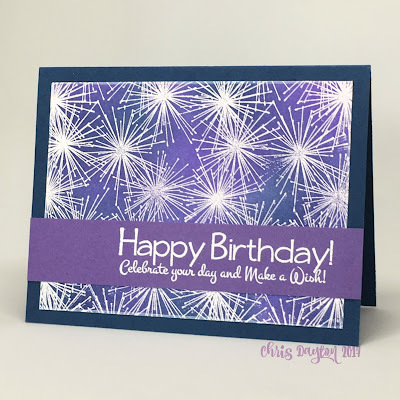 I heat embossed the background stamp with white embossing powder, then sponged in purple and blue inks to make the colorful background. I added a sentiment strip with the Birthday greeting from Grand Greetings, also embossed in white. Remember that these new release stamps are all 15% off through July 8th. And feel free to use the code TJ10Chris at checkout to save 10% on all non-new release items (except clearance). There are many more stamps and cards to see from this release in the blog hop! 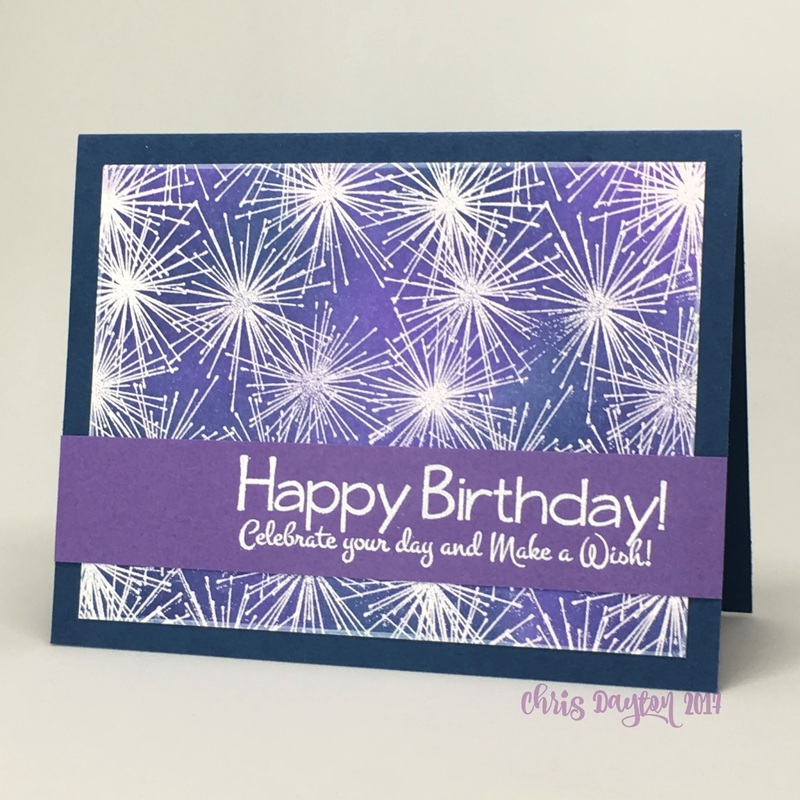 Click the links below to see all the cards from all of the Technique Junkies team. Chris - your cards are down right jaw dropping. You no-line technique is beyond any I've seen or could ever hope to achieve. Wonderful inspiration! Beautiful!! You are so very talented, thank you for sharing your work! Chris, these cards are fabulous. The coloring on your calendula flowers is awesome. You inspire me. Thanks! Thanks for sharing your beautiful creations - love this new release! Every one is beautiful, but I especially like how you used the dandelion as fireworks! Two gorgeous cards. I'm intrigued by the card that was stamped in light yellow. I must give it a go. You're such an inspiration.